My oldest daughter calls sunscreen “ice cream.” Super cute, and funny as it means I have yet to convince her that ice cream is a totally different item. I decided to make this with her to give her a small taste of what ice cream is. I usually don’t even let her have yogurt with sugar in it (she loves plain), but I made an exception here. She thought it was pretty great. This is a super simple combination of frozen fruit and yogurt that makes a creamy, fruity, frozen concoction that fills any need for ice cream. It works with both vegan and dairy yogurt. I like to use the sweetened yogurt here, but plain would be fine if you are ok with a fairly tart yogurt. If you use sweetened yogurt and it isn’t sweet enough for you add a touch of agave or maple syrup. It will depend on how sweet the fruit is that you use. I used peaches for this batch, but pretty much any frozen fruit will work. I haven’t met one yet that doesn’t. Place yogurt, then frozen fruit in a high powered blender or food processor and blend until smooth. You will need to stop several times to scrape the sides. Serve immediately. It doesn’t freeze well. You could keep it in the freezer for an hour or so, but much longer it gets very hard and doesn’t thaw consistently so it is best eaten in one sitting. Tomorrow is national ice cream day! Oh boy, what a wonderful thing to celebrate. I haven’t created any new ice cream flavors in a while so I decided to put some thought into it. Here is my creation: a creamy coffee ice cream with bits of Oreo, best served topped with hot fudge sauce and coconut whipped cream. A vegan mud pie! 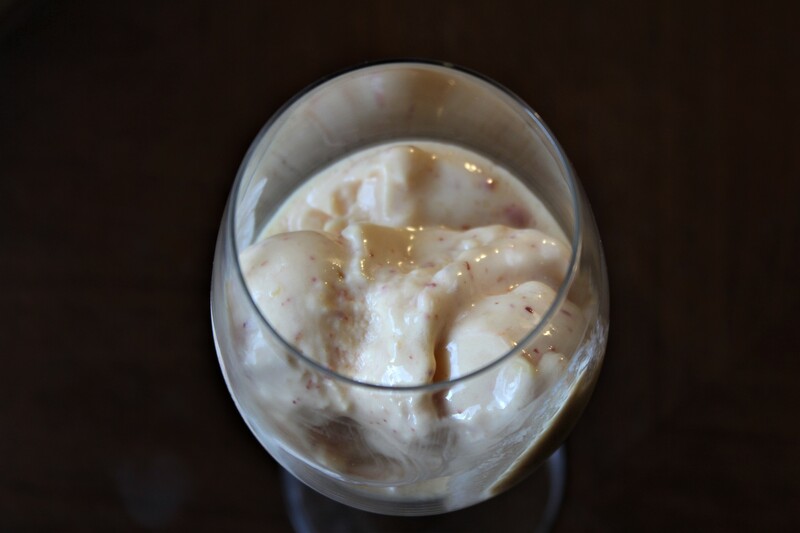 My ice cream recipe is versatile and I have a post on making vegan ice cream without a recipe if you want to experiment. For this coffee base I used my whiskey cold brew, but any strong, cold coffee would work. If this flavor isn’t your jam, check out the vanilla, peanut butter cup, Irish cream, or Mint. I do love ice cream! Blend all ingredients together briefly. 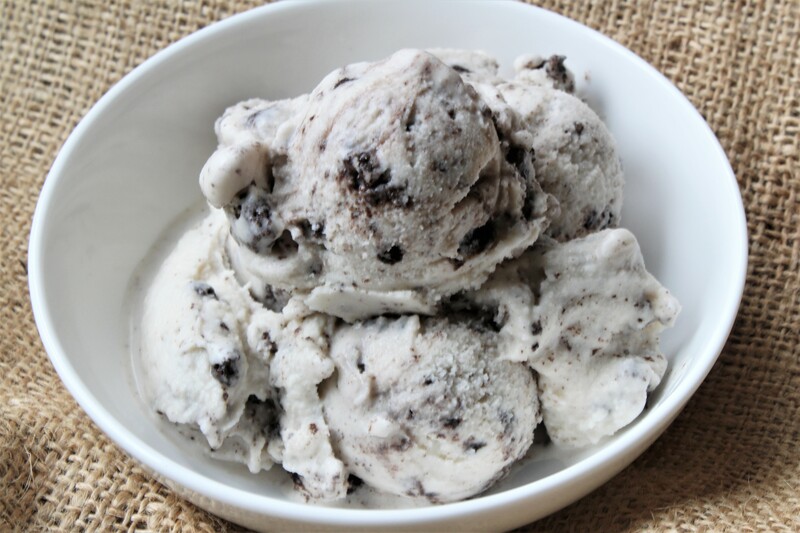 After ice cream has been churned fold in the crushed Oreos. Scoop ice cream into freezer friendly container and freeze for at least 2 hours before serving. 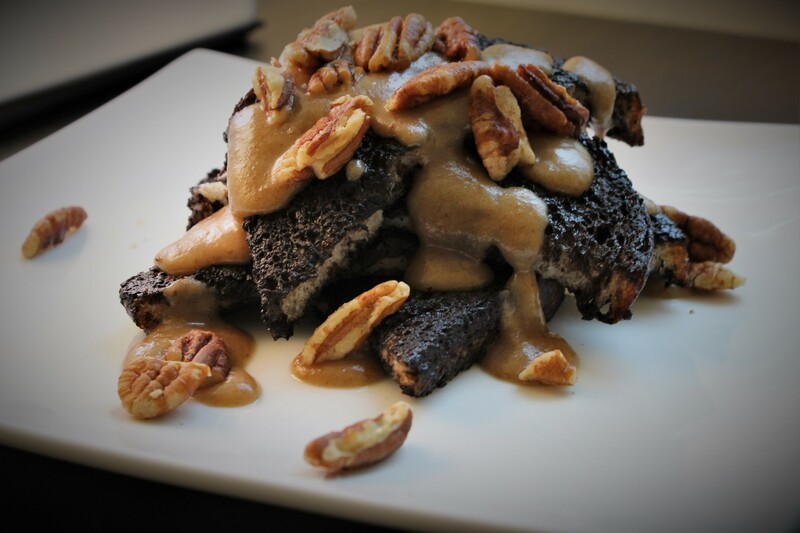 Top with vegan hot fudge sauce for a delightful treat. We eat a good amount of kale; I know, so trendy. However, I actually love the stuff. Eating all that kale, and being me, I have had a hard time throwing away all the stems. If you compost maybe it doesn’t hurt so bad, but I live someplace where that isn’t a possibility right now, and it hurts to waste. When I heard about kale stem pesto a light bulb went off for me. 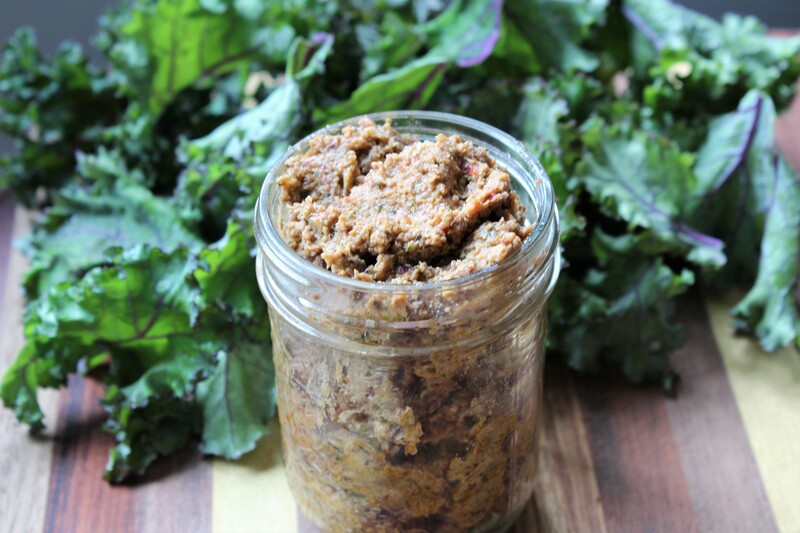 The perfect, and delicious way to use up my kale stems. This is a super simple recipe that comes together in a flash. I’m leaving it up to you for how you want to use it. So far we have done a kale stem pesto pasta with sauteed vegetables, put it in a power bowl, topped homemade veggie burgers, and I have been stirring it into vegenaise for my sandwiches. How will you use it? 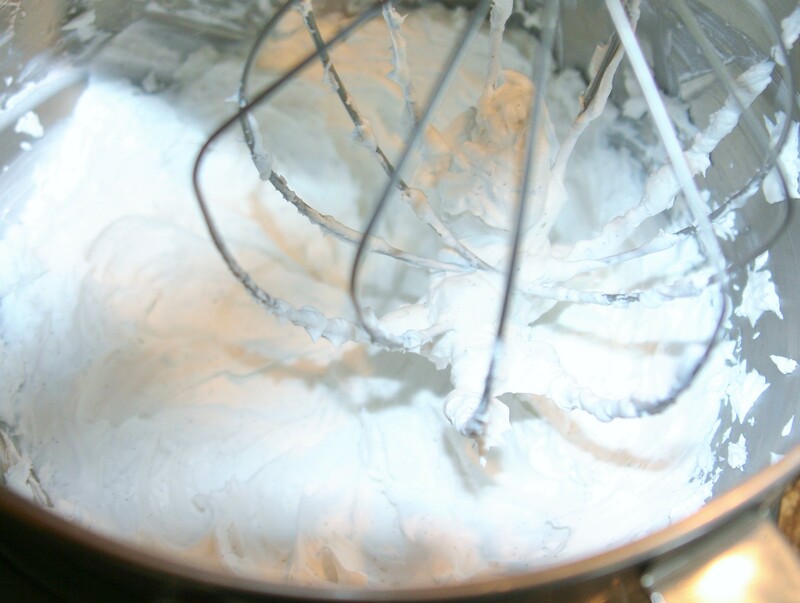 Combine ingredients in a food processor and blend until a smooth paste forms. Store in a covered container in the refrigerator until you are ready to use. 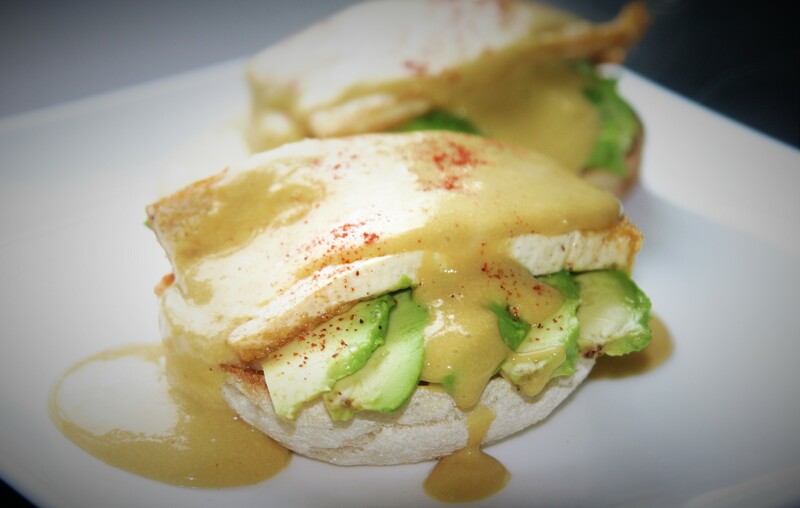 If you are cooking a Mother’s Day Brunch I have a few suggestions for you, all that I would be more than happy to receive if someone were cooking for me. If you’re looking for something else check out my baked goods and breakfast categories. This perfect delightful, refined sugar free, vegan, paleo, and gluten free. This date caramel would be described as; rich, decadent, sweet, satisfying, and is made from very simple ingredients and comes together in a flash. I have been working on a few ways to use it, but highly recommend this as a start to your favorite dish featuring caramel. 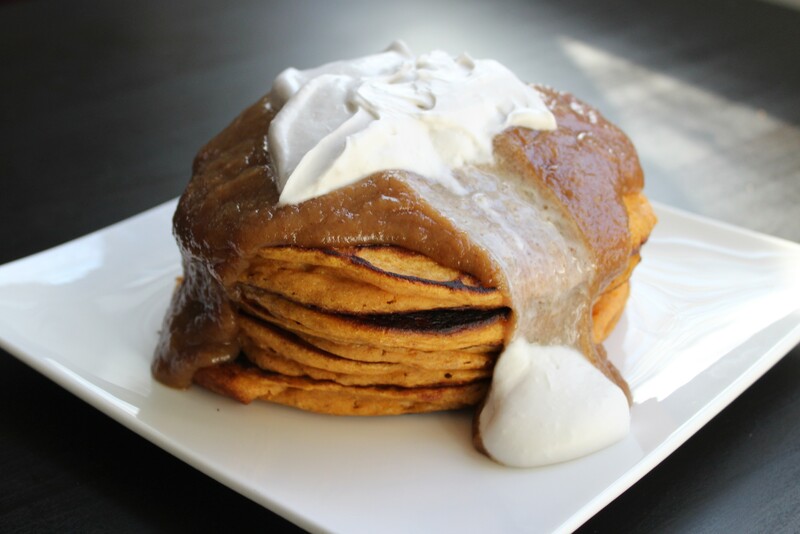 Pictured here it is served over sweet potato pancakes with coconut whipped cream. A dish to impress. For my sweet potato pancakes I used this recipe, but substituted sweet potato puree for the pumpkin, and took out the spices. Your favorite pancakes would also be perfect here, or use this recipe for an guide to find your perfect pancake. Pour boiling water over dates, just enough to cover them. Let them sit for 10 minutes or so until soft. Drain dates and reserve the water. Place drained dates, coconut milk, 2 TBL of the hot water, vanilla, and salt in a food processor or blender. Puree until smooth adding hot water a tablespoon at a time until it reaches the consistency you desire. Pour over just about anything for a delicious treat.